February 1940. 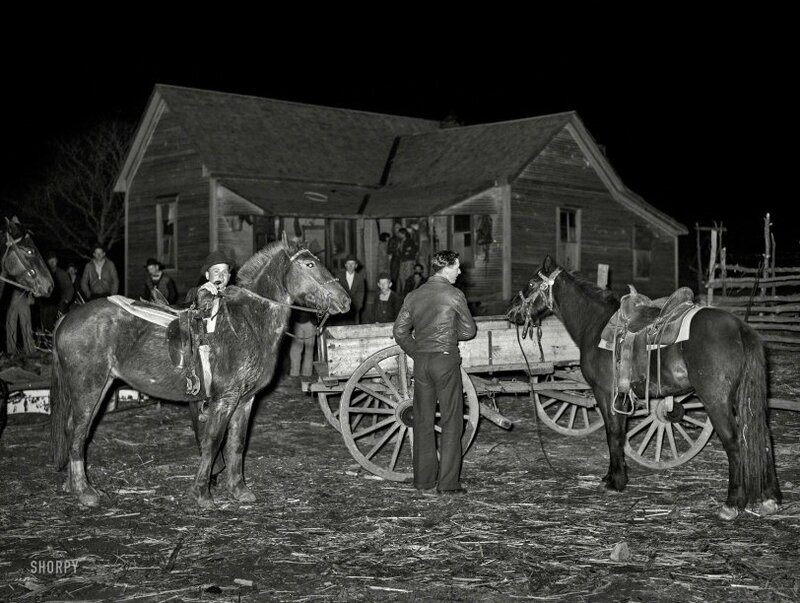 "Farm boys tying up their horses at a 'play party' in McIntosh County, Oklahoma." Nice ride, Joe, but have you seen Billy's new mustang? Photo by Russell Lee for the Farm Security Administration. View full size.